I’ll start by saying I have a hangover. I haven’t had one in years; overall this one is relatively mild compared to those experienced in my youth. It’s not the way I planned on waking this birthday morning, but my over consumption was well worth this pounding in my brain. 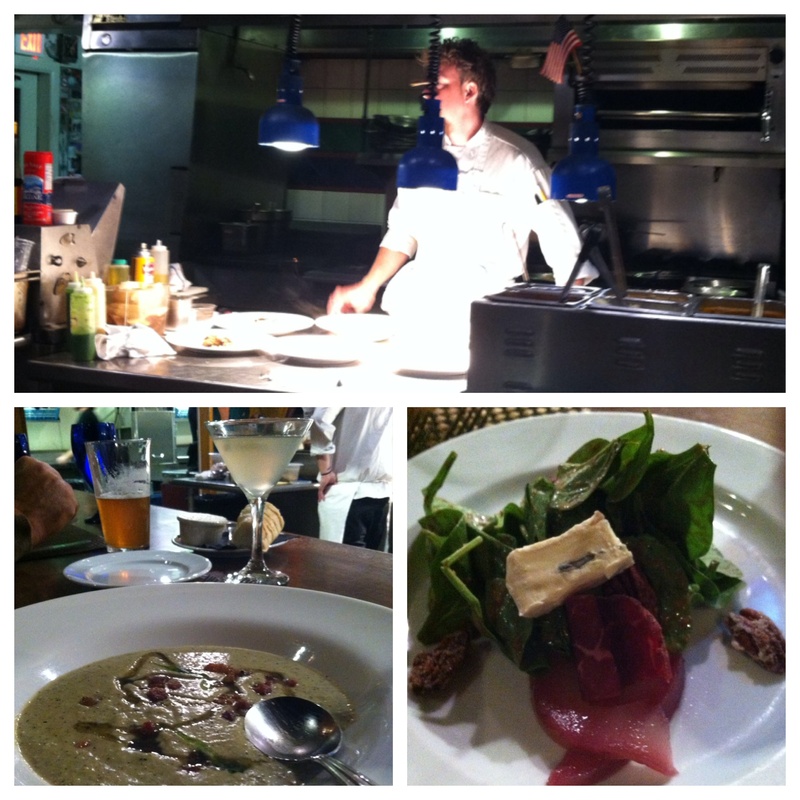 Chef Michael Thomas wowed us at Chefs Table; his execution was flawless and service spot on. As always bartenders Tom and Dennis worked their magic. 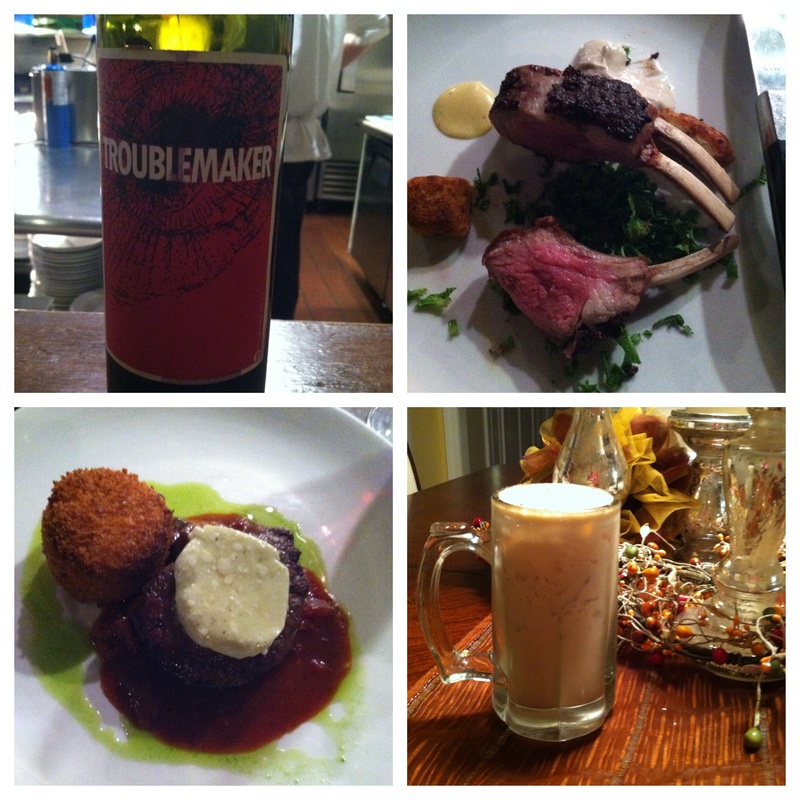 With Dinner we shared a bottle of Troublemaker from Hope Family Wines. 1st course; Roasted Broccoli soup with pancetta and a drizzle of honey truffle oil. 5th course; Filet Mignon seared and served with potato croquette. 6th course; Coffee…Fresh crisp waffles with maple bacon ice cream (mine) black cherry ice cream (his). Our DD’s showed up and we moved to the bar. The guys each had a Bulleit Bourbon. When we returned home Ryan whipped up one of his “off the cuff” cocktails, this one he calls Sleigh Ride. Add ice and shake the hell out of it. Garnish with fresh ground nutmeg. My head hit the pillow and I remember nothing until waking up with a headache. Happy birthday to me. Previous Post When did we lose the double space after the period? Next Post You had my curiosity, now you have my attention.